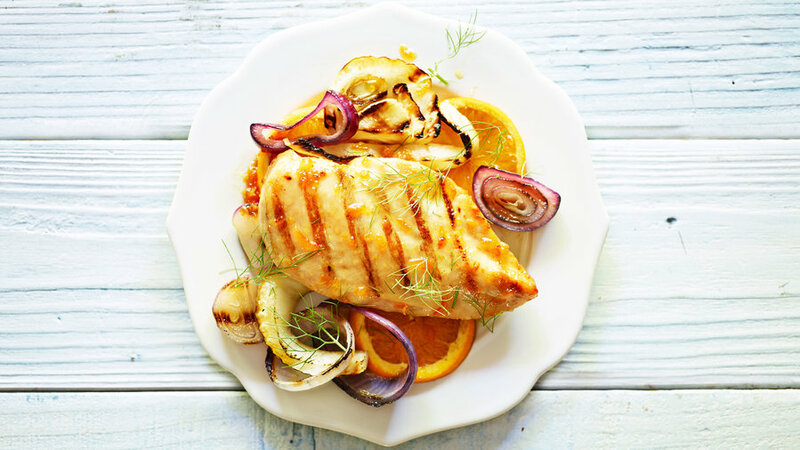 Quickly cooked chicken breasts get special treatment when served over fennel and onions charred on the grill. 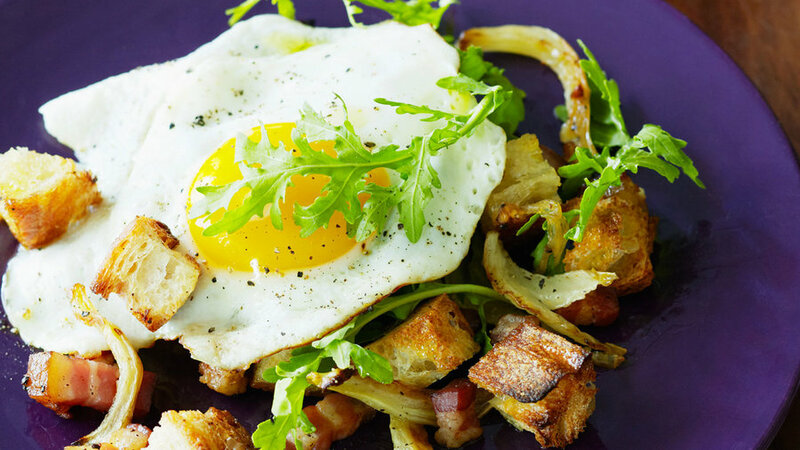 Fennel for breakfast? Of course! We like this one at dinnertime, too. 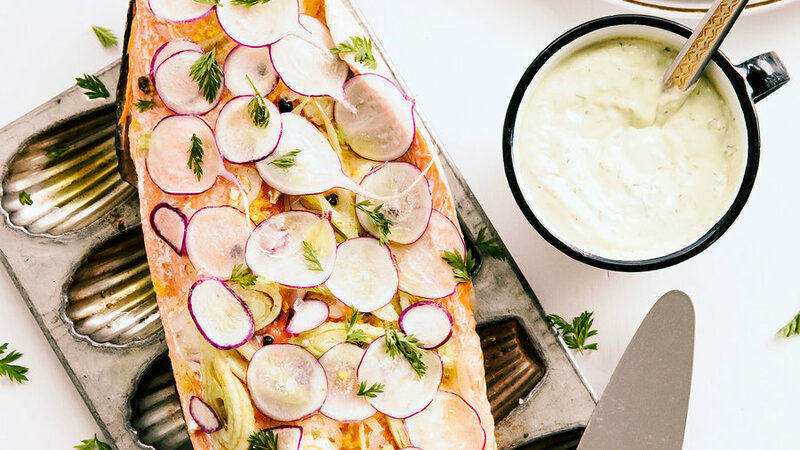 We love this simple but elegant salmon from Portland pastry chef Kristen Murray. Orange zest, shallot, and fennel subtly flavor a whole salmon fillet. 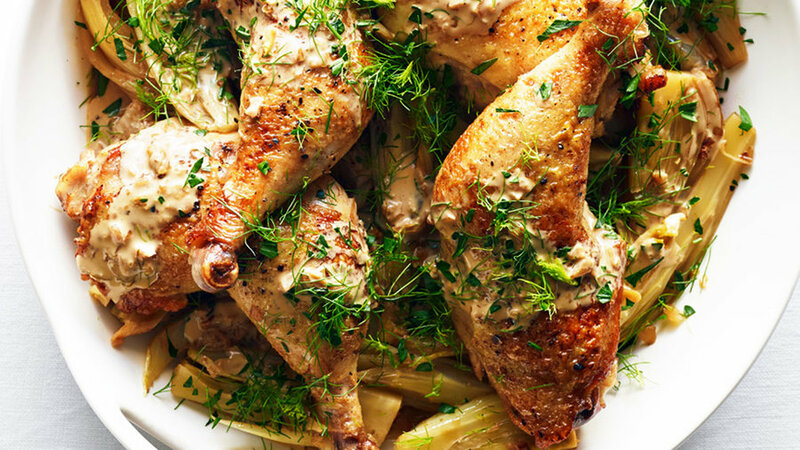 Fennel and endive combine with chicken for comfort food that’s ready in no time. Cream and wine make it rich and satisfying. 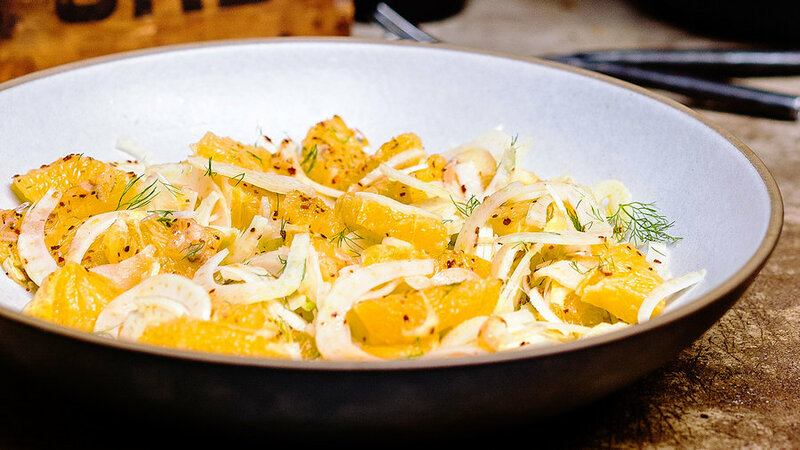 The classic combination of fennel and orange works well as a simple salad. We love that San Francisco cook and artisan Angelo Garro adds chile flakes to his for a little bit of heat. 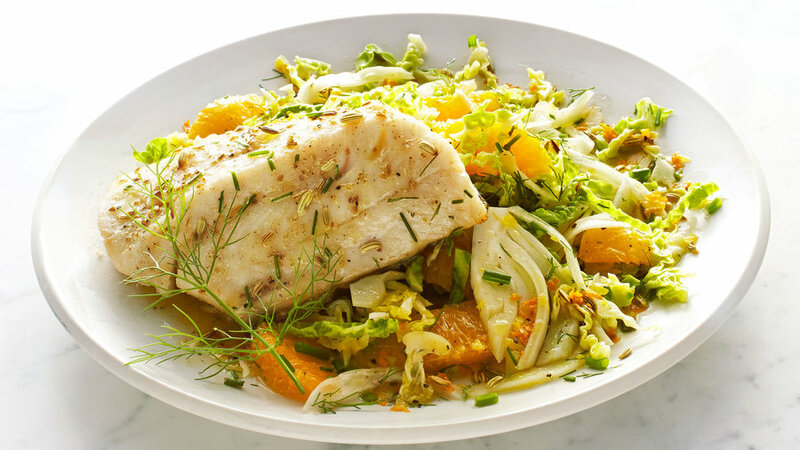 Pan-fried sablefish tops a fresh, citrusy fennel slaw. This dish is fast and easy for a weeknight dinner but elegant enough to serve to guests. 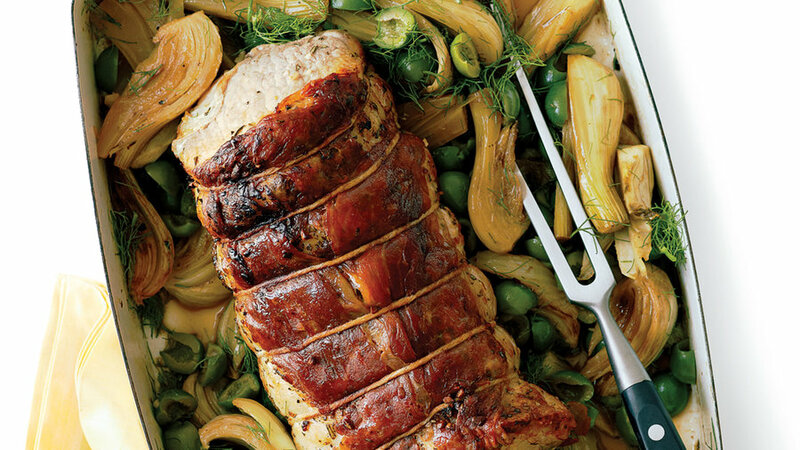 Roasted fennel is mild and slightly sweet, making it a perfect complement to pork. 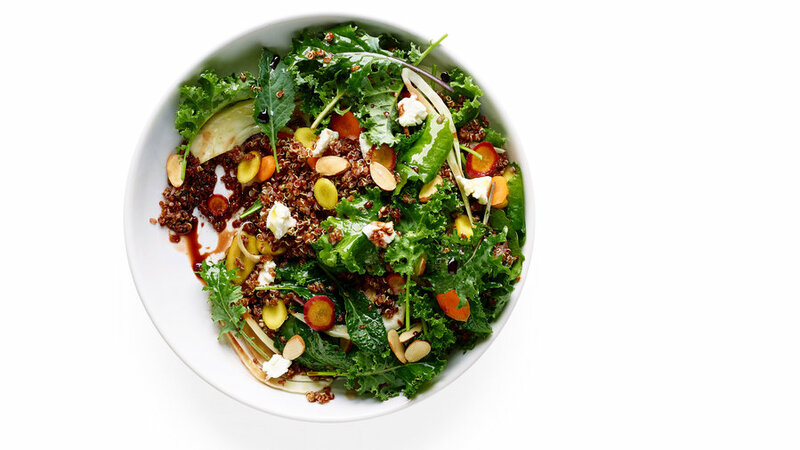 Briny olives round out this great dish.